SpaceX fueled up a Falcon 9 rocket, ran through a mock countdown and fired the booster’s nine Merlin main engines Friday in a successful preflight static fire test officials hope will clear the way for liftoff Jan. 6 on a space station resupply mission. 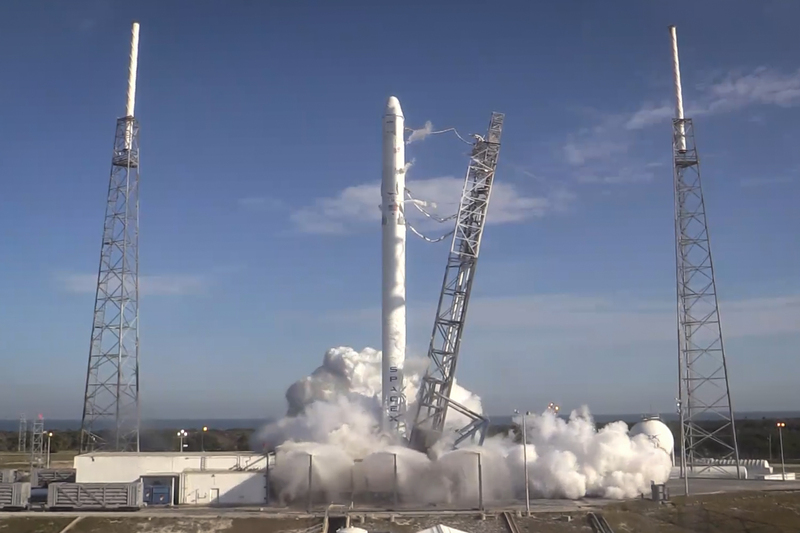 The exercise occurred at approximately 2:55 p.m. EST (1955 GMT) Friday while the Falcon 9 rocket and a Dragon supply ship were kept grounded at Cape Canaveral’s Complex 40 launch pad. The SpaceX team filled the two-stage Falcon 9 rocket with kerosene and liquid oxygen propellants, pressurized the launcher’s propellant tanks, and fired the booster’s nine Merlin 1D engines for a few seconds. SpaceX conducts the static fire test — which typically ends with a 3.5-second engine firing — before every launch to wring out issues with the rocket and ground systems. The exercise also helps engineers rehearse for the real launch day. 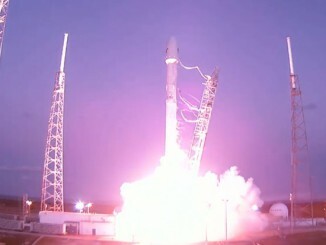 Officials tried to complete the static fire Wednesday, but the engine firing was aborted due to an unspecified problem. SpaceX says Wednesday’s test accomplished nearly all its goals, but it did not run the full duration. “The data suggested we could have pushed forward without a second attempt, but out of an abundance of caution, we opted to execute a second test,” SpaceX said in an update on its website. SpaceX and NASA agreed to delay launch of the unpiloted cargo resupply flight from Dec. 19 to no earlier than Jan. 6 to give Falcon 9 engineers time to resolve the problems that cropped up Wednesday. Complicating matters is a period of high sun angles in the International Space Station’s orbit, when the massive lab complex is in almost constant sunlight. 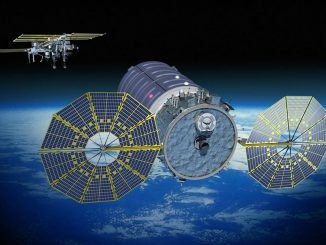 The occasion — known as a high beta period — places thermal restrictions on the space station and will prevent SpaceX’s Dragon cargo capsule from rendezvousing with the outpost from Dec. 28 to Jan. 7. 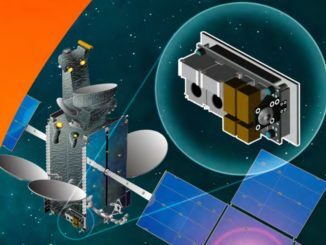 “Given the extra time needed for data review and testing, coupled with the limited launch date availability due to the holidays and other restrictions, our earliest launch opportunity is now January 6 with January 7 as a backup,” SpaceX said. If the Falcon 9 blasts off as scheduled Jan. 6 at 6:18 a.m. EST (1118 GMT), the Dragon spacecraft will reach the space station Jan. 8 with a 2.5-ton load of food, provisions and experiments for the lab’s six-person crew. The flight will mark the fifth mission under SpaceX’s $1.6 billion Commercial Resupply Services contract with NASA, which covers a dozen resupply launches to the space station through 2016.